The time clock prescription for your business. 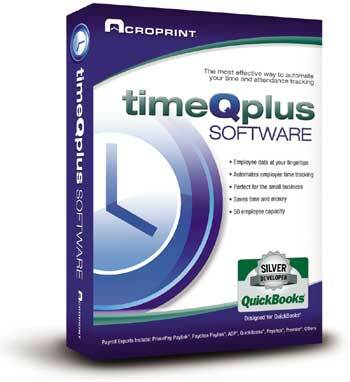 Acroprint Attendance Rx timesheet software is simple to use and well thought out. Ideal for small to mid size companies. It helps with holiday, overtime, shift and pay period polices and offers a wide range of reports. It even shows you who has punched in and who has not. Made by Acroprint in the US, it is backed by over 40 years of direct time clock experience. The database is on the server, or select which computer on your network where you want to store the database (your punch records). Each station gets an Acroprint Icon. The employee selects this icon. The employee then types in their ID number (PIN) on their keypad, and hits enter.